Survivor: Cambodia will begin on GO! next week. It premieres at 8:30pm Thursday September 24th, just hours after its US premiere. Nine has treated the show very well for a number of seasons now, fast-tracking it from the US. The new season, which sees returning players compete for the million dollars, will also bury its idols into the middle of challenges. Survivor Cambodia: Second Chance is the latest chapter in the world’s longest running reality-competition series, premiering with a 90-minute episode at 8.30pm next Thursday, September 24, fast-tracked on GO! The 31st season is the first time in Survivor’s 15-year history where the entire cast have been chosen by their fans to have another attempt to be crowned Sole Survivor and winner of the $1 million prize. Twenty returning castaways will begin their adventure in Cambodia, quickly split between two “tribes” in their attempt to take control of the game: old-school thinking versus a new-school strategy. The castaways will compete to outwit, outplay and outlast each other with a few new twists. The Emmy Award-winning program began on May 31, 2000, with 15.5 million viewers in America and since then this cultural phenomenon has filmed 459 episodes across 17 countries, featuring 460 castaways. 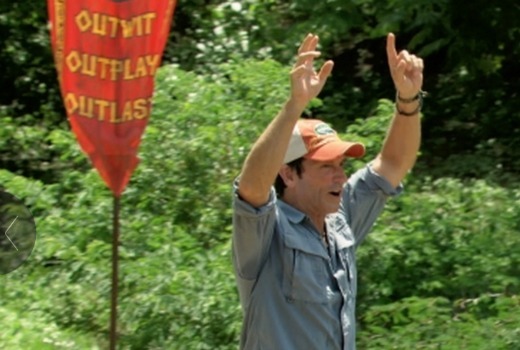 Survivor Cambodia: Second Chance is again hosted by Emmy Award-winning host Jeff Probst. Mark Burnett and Probst are executive producers. Survivor is distributed by CBS Studios International. At last something good has come from the loss of Big Bang repeats…an earlier timeslot! Pedantic, but… It’s Thursday 24th, right? Wednesday 23rd in the US. I’m very grateful its returning and the time slot is awesome. I think its the perfect time slot and I agree with David Nine has treated the show very well. Its one of their winners. Great news for Survivor, now let’s see 7 do this to TAR, I’m holding my breath…. So glad Nine are fast-tracking Survivor again! Is there any news from Seven on the Amazing Race 27? I know Seven are pretty awful with their fast-tracking but could they at least give us a start date? Really looking forward to another fantastic season of Survivor! Not to be nit-picky (well maybe a little) I would prefer it to air at 7.30pm but grateful that it’s on at all!